The story of our life returning to England from Braye-sous-Faye: Say No to Farm Wind at Nueil-sous-Faye. Say No to Farm Wind at Nueil-sous-Faye. 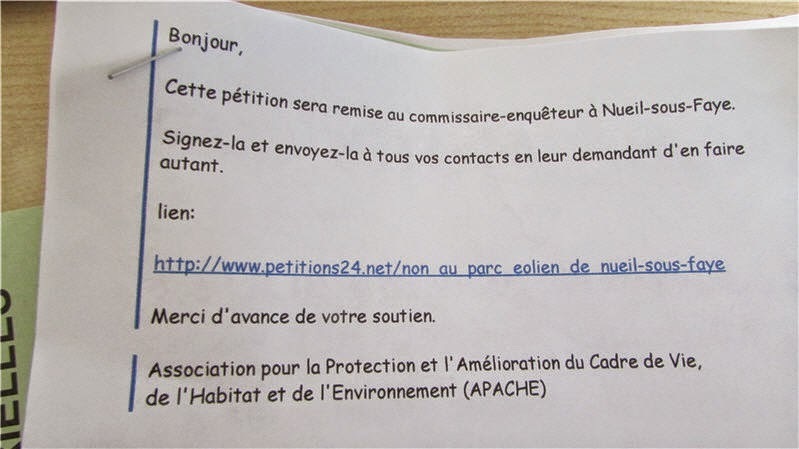 We have known about the proposed wind farm at Nueil-sous-Faye for some time but today, in our mailbox, we received a request to sign a petition against the development. The development is for four turbines each with an overall height of 158 metres. For those of you familiar with our area of North West England that is the same height exactly as Blackpool Tower. 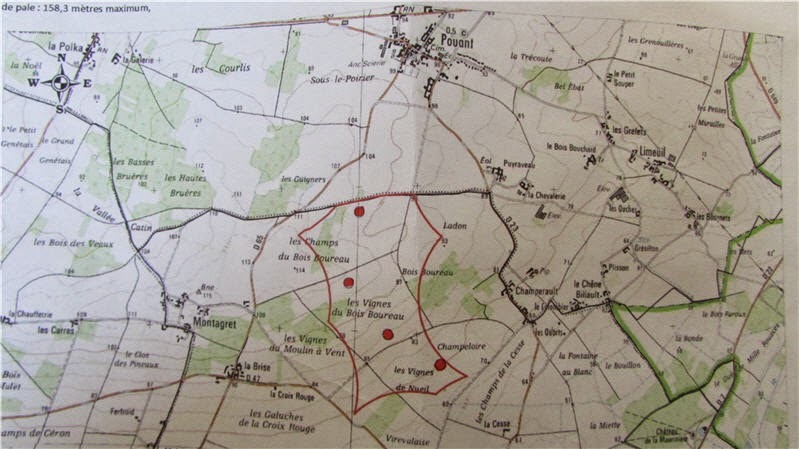 They are to be located between the villages of Nueil-sous-Faye and Pouant as shown on the map below. If you want to find out more about proposed sites for wind farms check this link to the PDF document: Schéma régional éolien - DREAL Centre. What exactly is the problem with these turbines? Are they fragmenting habitat? If they are on agricultural land there shouldn't be a problem. What is unacceptable about their visibility? Scale? 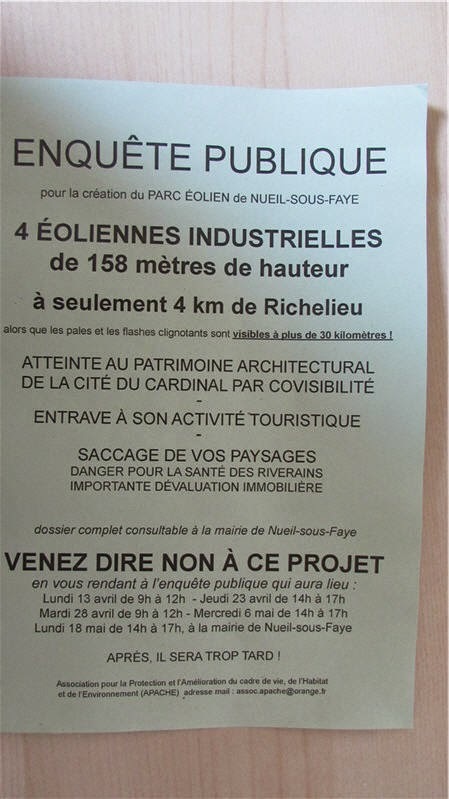 Are they really going to interfere with the view of the Cité Idéale? If so, more than existing high tension pylons and the myriad of cables all over the place? The claims about a danger to health and devaluing of real estate have been disproved again and again and are just nonsense. Why are these rather fabulous additions to the landscape not loved? In 100 years time they will be nostalgically regarded heritage. Signed Exasperated of Preuilly. If we had our way it would be "NO" to high tension pylons and the myriad of cables too! Susan I am against wind turbines on the basis that they are being built to satisfy the green energy legislation ONLY. Think about it... Sorry industry you can't run today, there is no wind!!! In the UK the government is paying the turbine companies millions a week not to produce electricity when the grid cannot cope with it. They make more money NOT to produce electric... They are a JOKE... Check the internet there is plenty on there about it. At least where we live, it's the scale of the wind turbine industry I have an issue with. The turbines themselves are getting bigger by the year and are not only unsightly and but if you're unfortunate enough to live near them then I understand that there are noise issues also. But here they have become out of control to the point where I believe that much of Scotland's landscape is blighted or in danger of being blighted by the sight of hundreds of turbines. In our area we have a few and on a small scale I find them acceptable (sort of). But I appreciate the need for greener energy and have no issue with wind playing it's part but not to the scale envisioned by government. I'd rather see tidal power receiving the same level of support. It will be interesting to see how the tidal lagoon at Swansea Bay does. It could be a game changer. You should stand in the elections Susan. Myself and my wife have read your blog with much interest as we are about to move to France and potentially buy a property in Nueil Sous Faye so the turbines raise a number of issues for us. Would you mind corresponding via e-mail (by.steve@hotmail.com)as we have many questions about both the area and lifestyle. 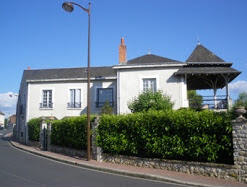 It is our intention to operate gite rental accommodation, start a micro brewery and art gallery and also offer bespoke art holidays (i am a practicing contemporary artist as well as a brewer). Thank you so much for this informative blog and I do hope we can chat further. A Spring in our step..
A change from the Owl! !